A common concern among new customers is the ability of a contractor to assist them either in determining the correct scope of a project or in meeting their pre-determined specifications. OTN has the knowledge, experience and resources to complete a job to the proper specs on time and cost effectively. Customers who come to OTN can expect excellent service from the initial contact to the completion of their project. Your inquiry will be directed to the estimating staff within the Division of service that best suits your need by our courteous and efficient office staff. Once you and an Estimator have discussed your inquiry, the estimating process begins. Site / Equipment Inspection. Your Estimator will set a time to tour your facility and inspect the project or equipment that requires contracting services. Thorough review of the project gives you and your Estimator the time to review what work needs to be done to reach your desired goal. Time Line for Completion. Does your work need to be performed during down times such as evenings, weekends or holiday shutdown? OTN’s commitment to service assures our clients that contracts will be completed on time, with minimal disruption to your operations. Specifications. OTN’s skilled craftsmen are trained and certified to meet the highest of industry surface prep and coatings standards. If you need assistance determining how to reach your goal, OTN Estimators have the experience and knowledge to advise you on the most cost effective means to achieve quality, lasting results. Proposal. A clear and concise written scope of work will be presented that outlines all contract steps necessary to meet your desired goal with every effort taken to meet budget requirements. If budgetary restrictions determine that the scope of work must be spread over time, your Estimator will assist you in determining phases of the project to meet those needs and provide ongoing maintenance services. OTN Estimators are also Project Managers and oversee your contract from start to finish. You will also receive daily support from the Job Foreman. In most cases, the same crew works on one contract from start to finish, assuring you continuity of service and quality. Progress Meetings. OTN knows that coordination is a crucial part of a contract’s success. On large-scale projects, we conduct periodic meetings with our clients and other contractors that may be on the job or attend such meetings when organized by clients. Strategic planning continues in weekly Progress Meetings held at our corporate offices that are attended by Project Managers and Superintendents. These meetings are one more step in the process of clear communication of goals and contract coordination. OTN takes great pride in our work. The products and services we deliver are a direct reflection of our skill and dedication, and are the foundation of our reputation. At the job’s completion, you and your Estimator / Project Manager will inspect the completed job to verify the entire scope of work was completed to specification and that you are satisfied. OTN is committed to maintaining our relationship with our clients. Both your Estimator and our support staff maintain contact with you to continue a mutually beneficial client / contractor relationship. OTN provides sound solutions, safely delivered on time, at an excellent value. OTN is committed to accident prevention and safe job sites, for the health & welfare of both our crews and our clients. Employees participate in safety training sessions and routinely follow the standards of the OTN Safety Program. When required by specific scopes of work, crews also receive specialized training. At OTN, safety comes first. OTN strives to exceed our client’s expectation of service. From first contact through a project, our goal is to treat clients as if they are our only client. Excellent service doesn’t end with the job. We stay in touch as trusted consultants. Communication, efficiency, productivity quality and safety are all key elements of the superior service OTN delivers. The quality of workmanship determines the value of a project. 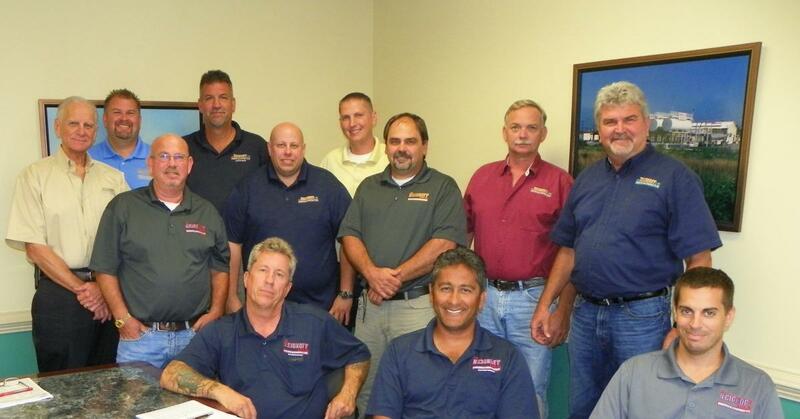 OTN invests in ongoing training of our crews to assure superior craftsmanship. All of our Divisions are committed to performing their work with uncompromising attention to detail, taking all the necessary steps to deliver quality results that last. Your bottom line benefits from our commitment to quality. A combination of sound business practices and ethics has earned OTN the first class reputation it holds in the coatings industry. Licensed, bonded & insured, OTN proudly lives up to the belief that a well- managed business results in well-managed projects. OTN clients are contracting with a quality firm that has remained strong for over 45 years.